Flower Fairies and Fairy Cakes: Can you have kids and still live in a stylish home? Can you have kids and still live in a stylish home? I can remember when I swore we’d be different. Sitting on our stylish (if battered) brown leather sofa, patting my humongous bump, I surveyed our living room. OK, so it would never appear in a home interiors magazine, but with its Orla Kiely accessories and the one-off pieces we’d accumulated on our travels, it had a kind of shabby charm “We’re not going to be a couple who just let their kids take over”, I said, while my husband nodded sagely. Our home wouldn’t be engulfed by a mountain of lurid plastic. Instead, our kids were going to enjoy playing with just a few wooden toys. Move our ornaments to out of reach places? No way! We’ll just leave them – it’s a good way for Junior to learn that no means no. And we weren’t going to install those ugly stairgates, either - we’d just have to keep a close eye on our kids. Fast forward five years and how things have changed. Turns out my kids only like toys of the garish, plastic variety. The ornaments are long gone as rescuing them from sticky hands got old after, oh, about five minutes. And we are now the proud owners of not one but four sets of stairgates. So, it seems that certain changes around the home are inevitable after you have kids. But fear not - there are ways you can hang on to some of your design ideals. You spend so much time in this room, so you need a space that works for both adults and small people. During the day, push back sofas so little ones have maximum toddling space, then for cosy TV watching in the evening, move them into more social positions. There’s no need to get rid of your gorgeous cream settees and armchairs, either - machine washable throws are your friends. To keep things safe, buy non slip rubber mats to go under your rugs and get padding and edge protectors for your tables. No matter what your design principles, stairgates are an absolute must. According to Baby Centre, falls account for a massive 44 per cent of all children’s accidents in the home. But there’s no reason to settle for the first stairgates you come across. Although choice can be limited if your stairs are very wide or narrow, if yours are of a standard width, you’ll be able to get gates in different colours (like jazzy silver or cream) or in a range of woods to help them blend in with the look of your home. If you hate lurid colours and wacky TV characters, Cath Kidston does some great vintage-looking children’s wallpaper, themed with retro cars and cowboys. The prints are also available on bedding so their beds can look just as funky. 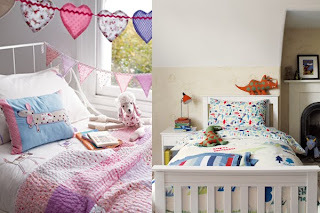 And John Lewis’ Little Home range caters exclusively for kids, with themes including dinosaurs, robots and elephants. Bedroom furniture doesn’t have to be tacky or boring, either. 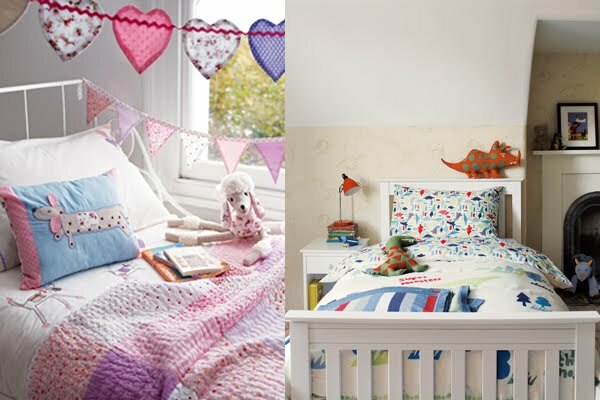 Go for simple and stylish children’s beds that will grow with them and choose fun accessories to add interest. Or go all out with beds that double as dens, cars or even princess cottages. This may have the desired effect of keeping them in there until morning, too! How has your home changed with the arrival of children? Im about to move from a 2 bed flat into a 4 bedroomed house with hubby and 2 & 1/2 year old, planning baby #2! My plan is for drawer locks on low cabinets, only put their toys (In cute baskets!) on low book shelves and install high shelves for must have ornaments on display! Am nodding my head at this post!! I think most parents-to-be start off saying they won't change their lifestyle and won't alter their house to accommodate the kids, then they are brought back to earth with an almighty bump, very suddenly!! I remember my sister had glass coffee tables that were pretty dangerous even for adults. I told her countless times when she was pregnant that she would have to get rid of them but she insisted on keeping them. I think within a couple of weeks she realised I was right and they ended up in the garage! I posted about this a few weeks ago. While I'm always suspicious of people who have kids but no sign of them when you go to their houses, there has to be a balance between that and toys bloody everywhere. Since there's quite an age gap between my oldest and youngest, I went without a coffee table for so long, that I wouldn't know what to do with one now. I was thinking of going out and buying one to fill the gap in the middle of the room, but I just know that now they'll just put their feet up on it and damage it. Sigh. To be honest I think it is very hard to have a stylish with small kids. At least my kids! It might work... if you have a home maid! yes i have, and they have a very stylish bedroom more then my room, but to keep them clean i have a very hard work to do all day.